Lighting is a key building system that directly affects employee productivity, user experience, aesthetics and energy consumption. 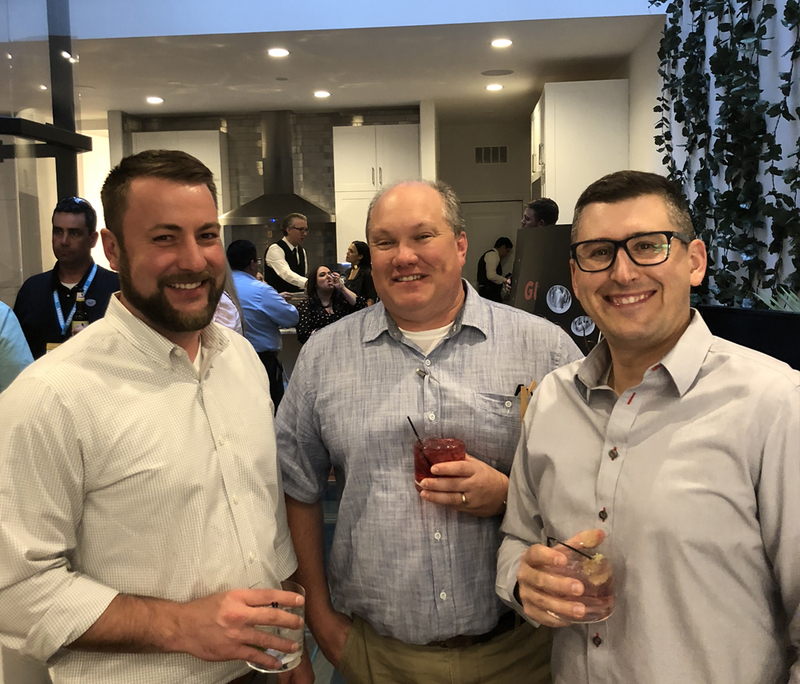 To stay on the forefront of industry trends, the Ghidorzi Wausau design build team attended LIGHTFAIR International, the global conference of all that is new and next in lighting, design and technology, which took place in Chicago earlier this month. We were most inspired by industry advancements in wireless lighting control systems that integrate all of a building’s indoor and outdoor lighting to provide the right amount of light where and when it is needed. This intelligent technology maximizes energy savings, complies with international “green” building codes newly adopted by the state of Wisconsin and equips clients with ultimate control of lighting their facility. “Lighting controls are enabling us to achieve truly incredible building performance for our clients. Technologies that we have utilized over time, such as daylight harvesting and occupancy sensors, are all the more powerful when paired with more cutting edge capabilities like color temperature,” commented Brian Sharon, AIA, Architect & Project Manager for Ghidorzi. Color temperature mimics broad spectrum sunlight and natural circadian rhythms to contribute to employee wellbeing and productivity. Studies confirm that rightsizing the color temperature of a workspace reduces employee fatigue while increasing alertness and work performance. Aesthetics are also improved, removing hues of white light that are too yellow (warm) or too blue (cool) to achieve true color saturation throughout the interior spaces. “The game changer for clients is user friendliness. Wireless lighting control systems have truly arrived with “smart” technology on par with an iPhone or tablet,” noted Derek Waldvogel, Lead Designer for Ghidorzi. Wireless control systems have also become more reliable and widely available across major manufacturers. The next generation of LED lighting was also a highlight of the show. OLEDs (Organic Light Emitting Diodes) consist primarily of organic material and are therefore easier to recycle than traditional LEDs. OLEDs achieve a warmer light preferable for those with sensitive eyesight, while also being a healthier light source that does not emit ultra violet rays. 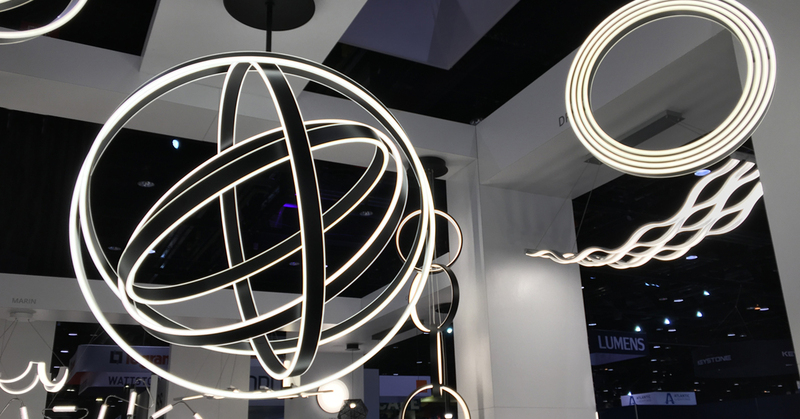 Aesthetics will always play a key role in lighting, and many vendors delivered a wow factor with their displays. The Ghidorzi Design Build team is applying the knowledge gained at LIGHTFAIR in turnkey fashion on current projects.